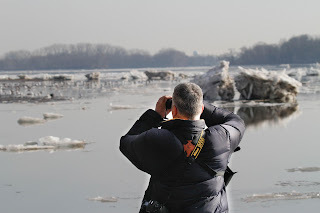 Our search for Snowy Owls and other winter birds took Todd and I to Canada in December. 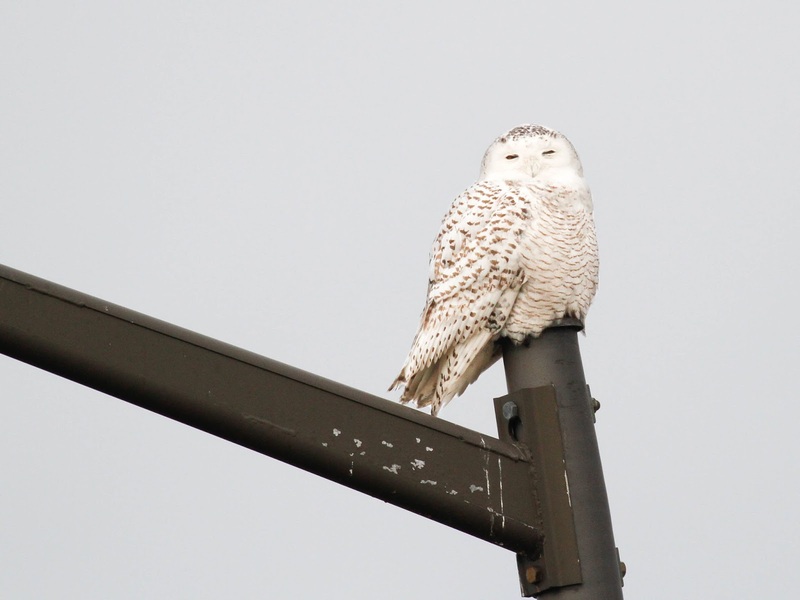 I guess we could have saved some gas money by waiting for the Snowy Owls to come south. Marty and I went to the Philadelphia airport this morning to see this Snowy Owl which has been hanging around the UPS hangar for a few weeks. We found him/her sitting on a light pole. A different angle shows that this location is in fact an airport. 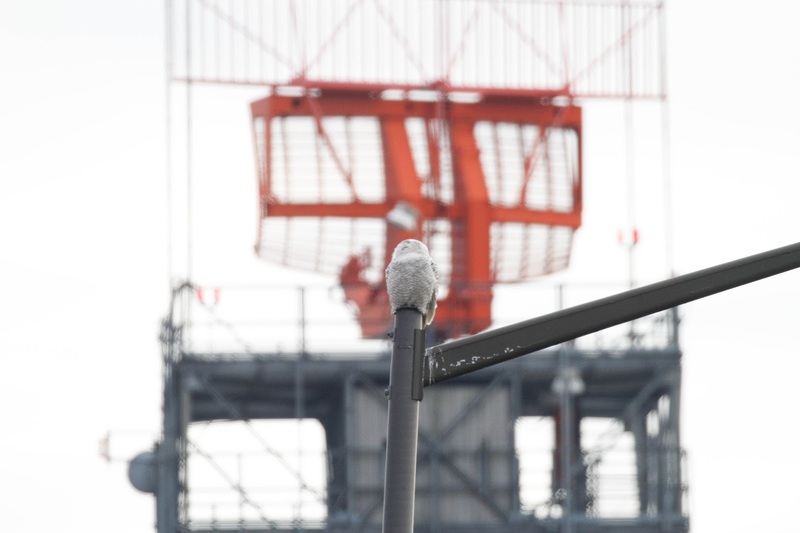 That's the radar tower behind the owl. There is talk of capturing this owl, banding it and relocating it to the farmlands in Lancaster county. The last Snowy that tried to make the airport it's winter home was killed by a UPS plane on the runway. Runways are not safe for birds (or any living thing). The trouble is that the same bird that was killed was also captured, banded and relocated to Lancaster. It took him less than 2 days to return to the airport! So, why bother? I hope they leave the bird alone and let him/her take it's chances. Marty and I headed up to Pennypack on the Delaware park in search of ducks. 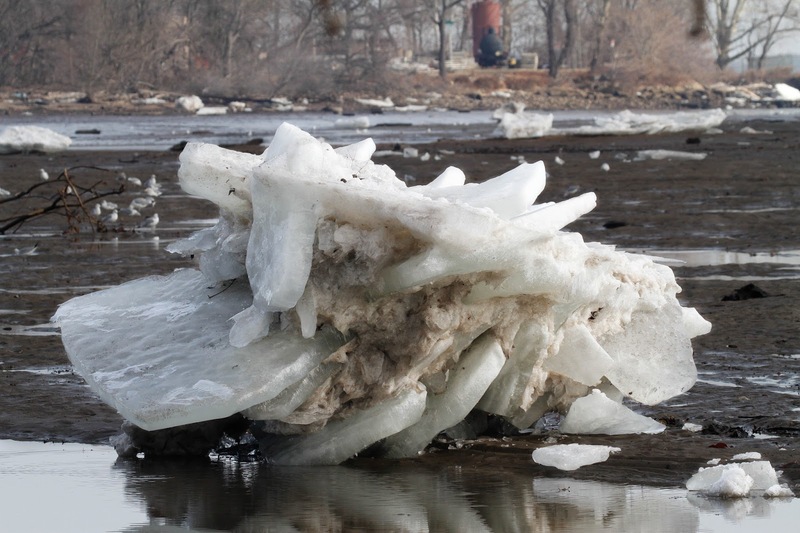 We found icebergs. Some of them were grounded at low tide. It's less of an ice berg, than a big ice ball. It is accumulated ice slabs mixed with dirt and debris that froze together. Kind of neat looking. 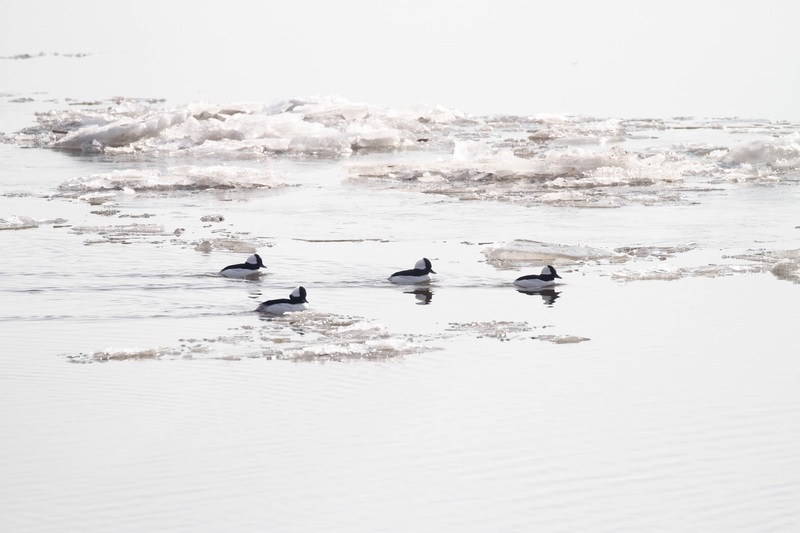 We did find a few ducks. 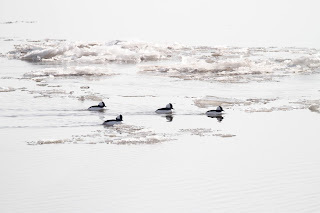 Here are Bufflehead amongst the ice flows. Birding has been really slow lately. Hoping next weekend is better.